DS3, E1 and T1 baluns, and Asynchronous Patch Panels. The ETS CT-700 Series of DS3 Baluns allows distribution of DS3 signals over Category 5 or better cabling, instead of having to pull dedicated coax. The baluns convert the unbalanced 75Ohm signal to a well-balanced 100Ohm for low loss transport over UTP, minimizing both signal radiation and noise pickup. The design also minimizes reflections caused by poor impedance matching. The CT-700 DS3 Baluns use only a single pair out of a run of four pair. The ETS CT-710, 720, 730, 740 Series of baluns and panels enables G.703 equipment to both use and to operate over plain UTP. The baluns and panels convert the unbalanced 75Ohm signal to a well-balanced 120Ohm (100Ohm for T1) signal, for low-loss transport over UTP. 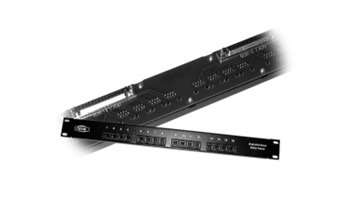 The ETS Low Speed Asynchronous Patch Panels are designed to support a variety of Cisco© routing products via 32-pair cables from the Cisco© routers and connected in the rear of the breakout panel. The signals are directed to the numbered eight-pin modular jacks (the so-called "RJ45") on the front of the panel. These break-out panels, because they provide a cleaner installation, are a superior substitute for the Cisco© Hydra™ cables (Cisco© terms them Octopus™ cables). 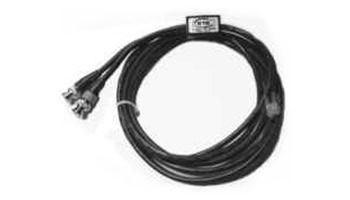 The Cisco© cables provide a 68-pin SCSI connector at one end and 8 RJ45 modular plugs at the other end. 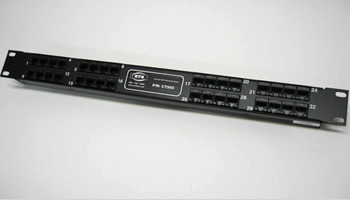 The ETS CT800 is a 16-port panel with jacks numbered from 1 to 16. The CT801, 802, 803 are all 32-port panels. The CT801 is numbered from 1 to 32, the CT802 is 33 to 64, and the CT803 is 65 to 96. 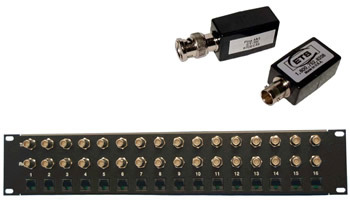 The ETS DS3 Breakout Panel (CT900) enables the distribution of DS3 signals in the form of T1 (DS1) channels over Category-5 (or better) cabling. Achieve the same results and save money by using less costly Category-5 UTP rather than the more expensive coaxial cable.